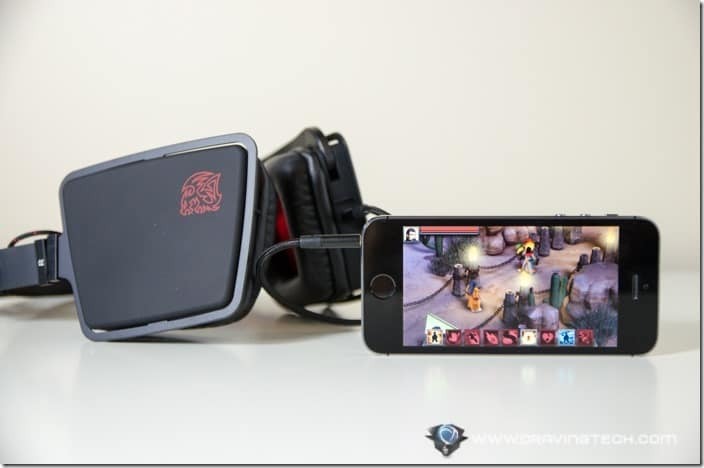 The essentials in both desktop and mobile gaming in one package. Sleek and professional looking. 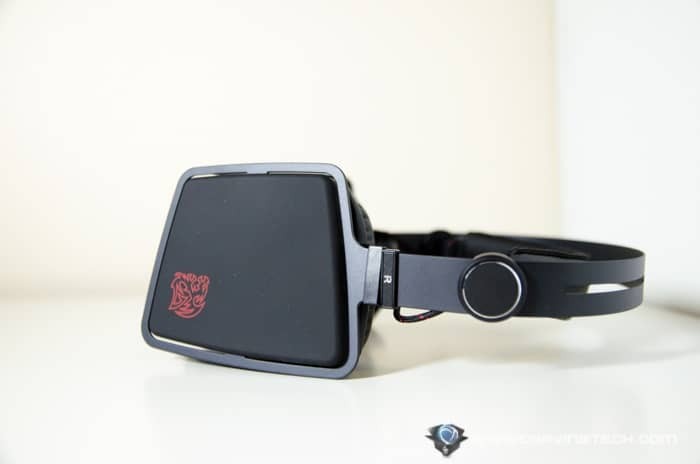 Tt eSPORTS VERTO Review – The latest gaming headset from Tt eSPORTS features a well-balanced headset in terms of style, sound, and portability. 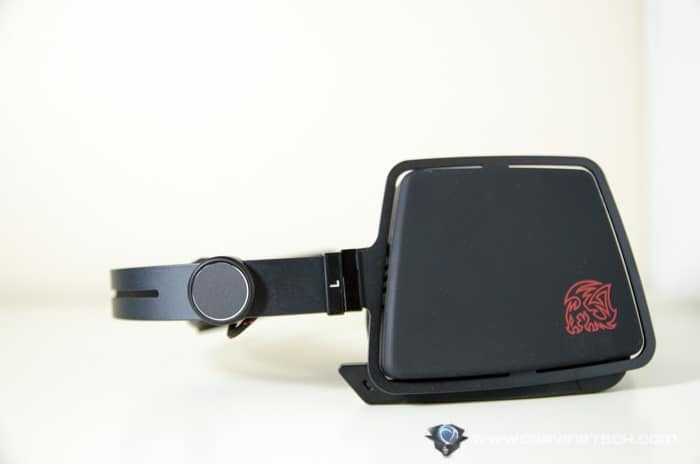 It also features an auto-adjusting headband design with stainless steel frame, great for gamers who are looking for a sleek gaming headset at a good price. Tt eSPORTS VERTO is light and can also be used for mobile gaming or music listening on the go. Design wise, the Tt eSPORTS VERTO looks elegant and professional, which will suit many mature gamers. The overall steel frame design gives a great touch to the looks department. 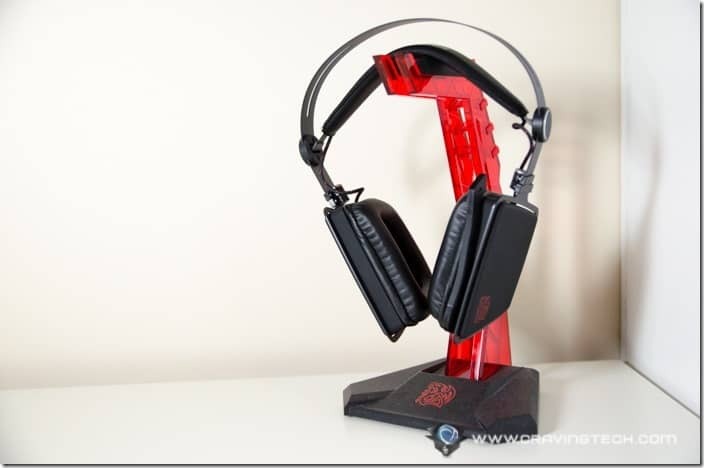 It’s definitely a great headset to bring along with you on a professional tournament. If you are looking for fancy lightings and exotic looks, however, you will be disappointed. 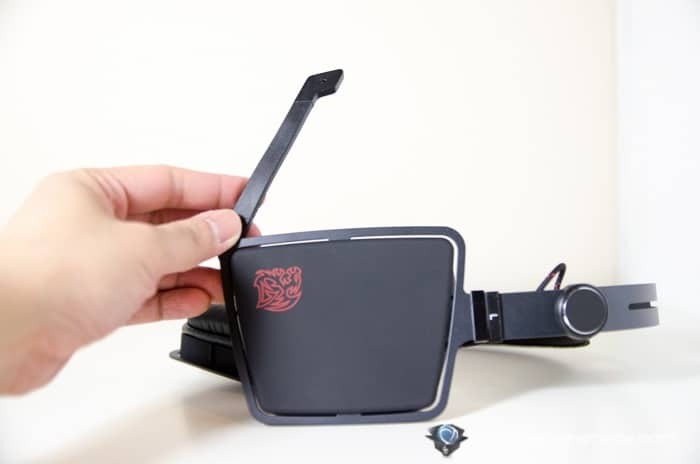 The second part of the headband (the first being the outer metal frame) does not look like it has a lot of padding, but it’s actually quite comfortable on top of the head. 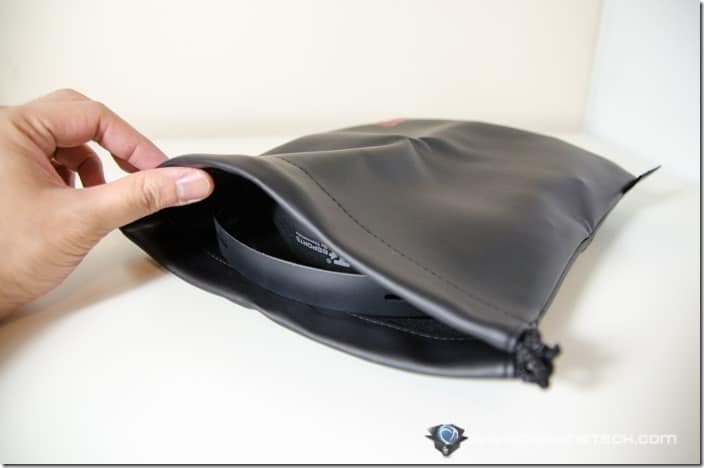 The leatherette padding makes it feel like your head doesn’t get squeezed from the top direction. 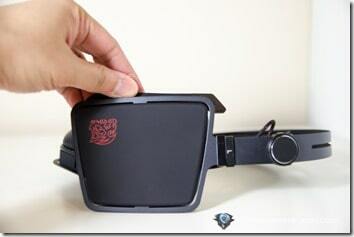 It also stretches quite naturally and should fit any head size comfortably. 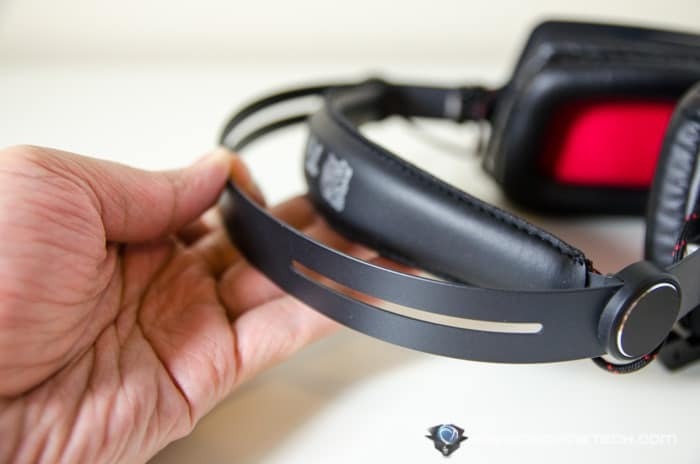 Rather than having to adjust in steps like many other headsets design, the VERTO has a more elegant and straight-forward solution. 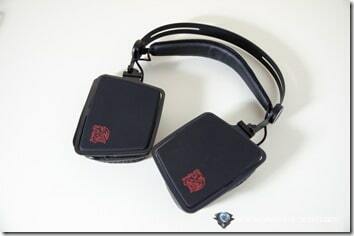 The ear cups are huge, which covers my whole ears and beyond. As a result, I get a fuller experience from my gaming sessions and better comfort for hours and hours. 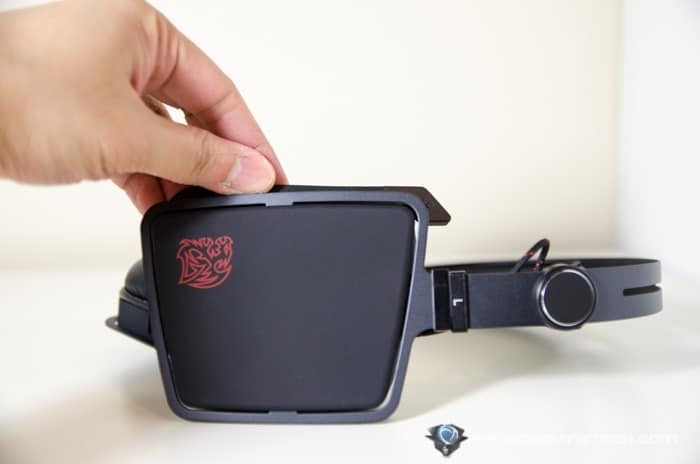 Will make gamers with big ears happy. 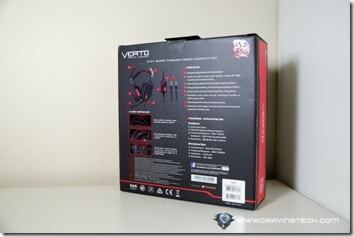 Held tight by the stainless steel frames, the VERTO is actually a sturdy headset, despite of the thin looks. 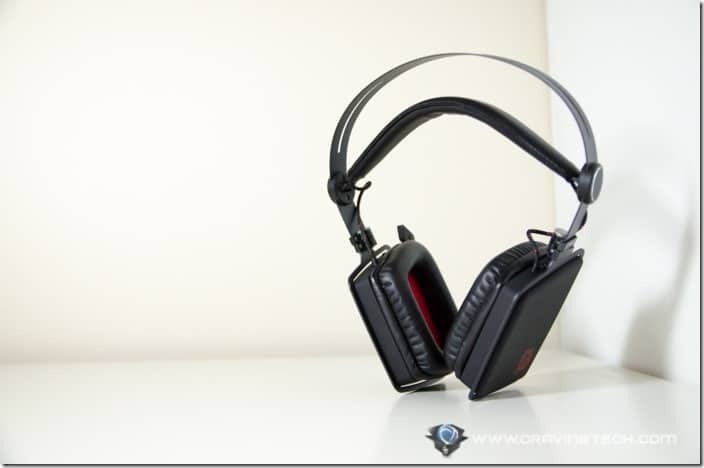 It’s a great headset for portability, thanks to its non-bulky overall design. To make it even more portable, the cable can be unplugged and the ear cups can be flat-folded. 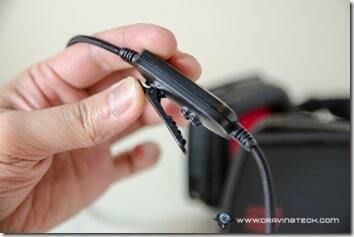 There is another reason for this detachable cable design. 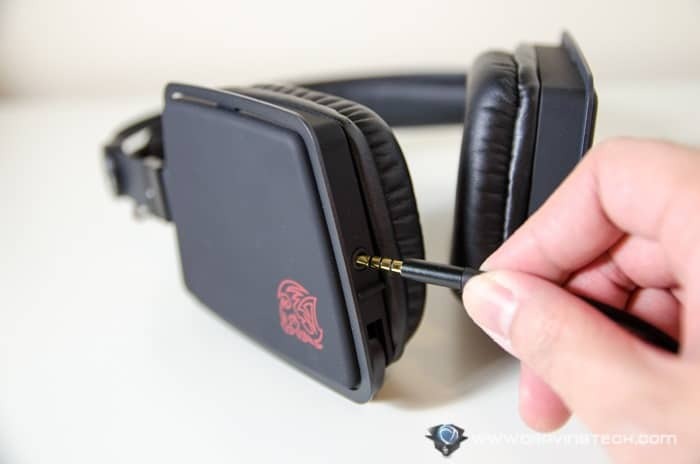 Hook the VERTO to your device with a standard 3.5mm connection cable (included in the packaging) and you can enjoy music listening (or mobile gaming) on the go. 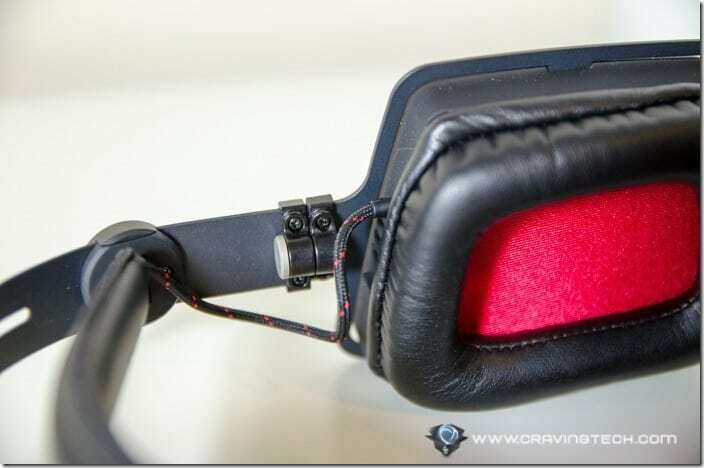 You can’t retract the microphone boom which sounds like a bummer if you want to wear the VERTO on the road. However, it can be rotated up to make it hidden as if it’s part of the headset’s outer frame. Smart. 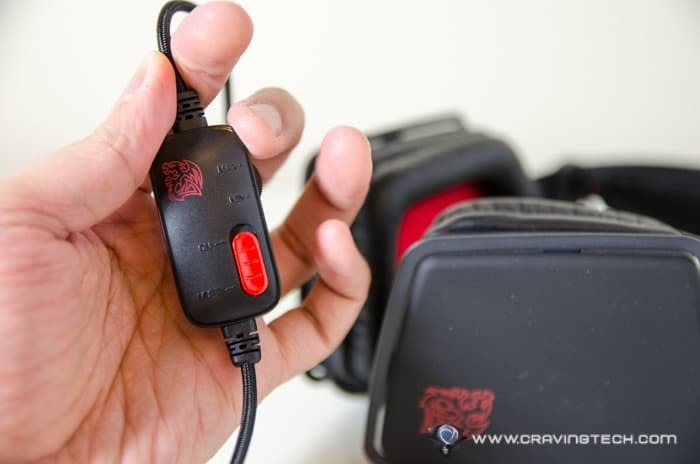 Tt eSPORTS also includes a high quality leather pouch in which you can chuck the whole unit with all the cables in. The cable (for PC gaming) includes an inline controls to mute and adjust the volume, plus it has a belt clip to minimise the annoyance from having the cable rubbed on the table or dangling around your chest. It’s a nice little addition that let your eyes focus on the screen during a competitive online gameplay. 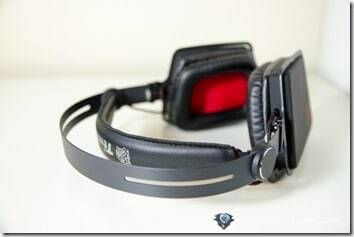 The sound from the headset is pretty good overall, delivering a balanced sound with a bit of bass thrown into the mix. 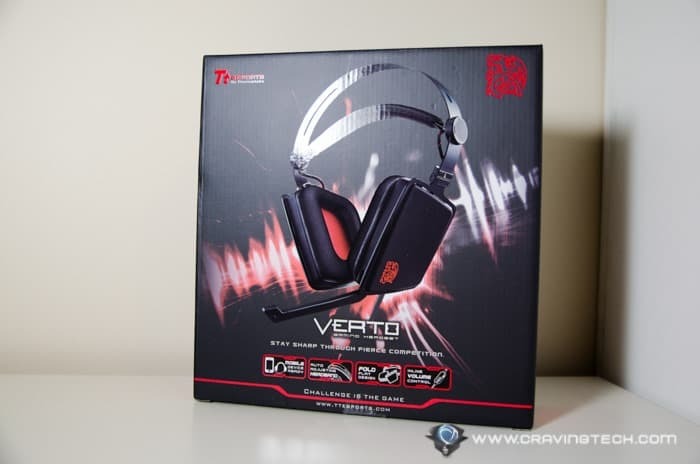 You’ll be able to hear enemy footsteps clearly in CounterStrike Global Offensive with VERTO and definitely not a bad headset to listen to your favorite tunes. 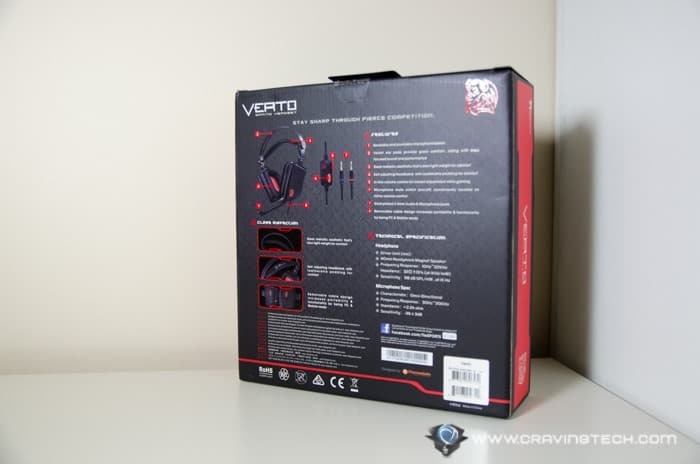 VERTO is a premium gaming headset from Tt eSPORTS, featuring a light, portable headset with professional looking design. 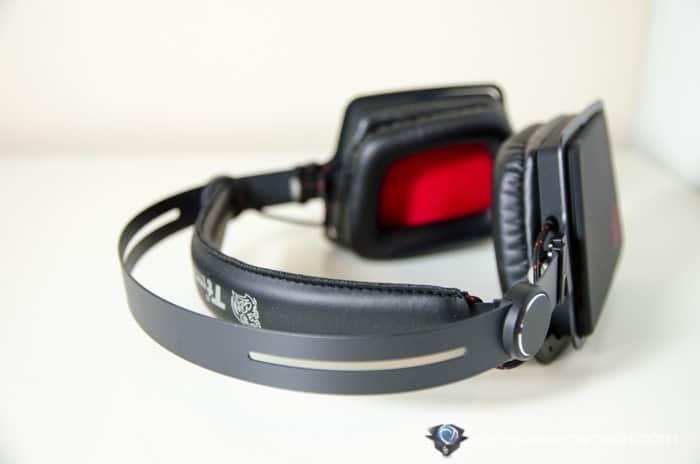 Sure, it does not have the bling-blings that some gamers may look for, but it offers the essentials that you’d want from a professional gaming headset. 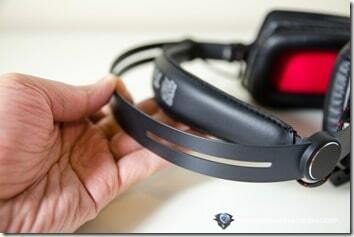 Add an option to swap the USB cable with a 3.5mm, and you can wear this headset for mobile gaming or music on the go. Definitely a great value for money without sacrificing elegance, comfort, and gaming experience.